Formed in 2012 in Oakland, California, Maldito Tango Duo is the collaborative project between tango musicians Charles Gorczynski (bandoneon) and Scott O’Day (guitar). Their sound is inspired by the recordings of guitar / bandoneon masters Anibal Troilo, Roberto Grela, Ciriaco Ortiz, Ubaldo de Lio, Leopoldo Federico, and Anibal Arias. They are also heavily influenced by the contemporary generation of tango musicians who have directly taught and mentored them, such as Ramiro Gallo, Julian Peralta, and Diego Schissi. 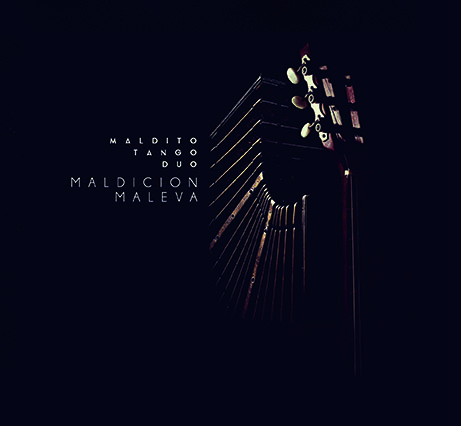 Maldito Tango Duo is a dynamic and evolving collaboration, popular both in concert and at the milonga. They focus deeply on tango rhythm and harmony, improvisation, and phrasing to develop a strikingly full and emotionally resonant sound. Scott and Charles use the space and freedom of the small group to personally connect with the music made famous by the major orchestras of tango: Anibal Troilo, Osvaldo Pugliese, and others. Scott O’Day is a guitarist and violinist dedicated to the music of tango. He has performed in the café-bars of Buenos Aires with members of 34 Puñaladas and Palermo Trio. Scott is in demand as a prominent tango guitarist in the San Francisco Bay Area, where he can be heard weekly with his own musical projects. He a member of Redwood Tango Ensemble Sextet, and has completed many tours and full length recordings with that group. Scott has extensively studied and researched tango music in Buenos Aires, and has been educated at La Escuela de Musica Popular de Avellaneda in Argentina and by the late Anibal Arias, member of Anibal Troilo Cuarteto Tipico. An active music educator in Bay Area schools, Scott also teaches the only weekly, ongoing tango music ensemble class in North America at the Community Music Center of San Francisco. Charles Gorczynski is a bandoneonist / composer and leader of the Redwood Tango Ensemble, a popular tango sextet in San Francisco. He worked as a highly-active instrumentalist in the Chicago improvised music scene for a decade before relocating to the Bay Area to focus primarily on tango music and the bandoneon. Charles has since led his compositional projects on several tours in the United States, Canada, and Italy. His work has been released with the record labels 482 Music, Serein Records, Ropeadope Records, Euclid Music, and a variety of local outfits. Charles also co-leads the ensembles Colorlist and Strongsender, and has been a guest performer with the Civic Orchestra of Chicago, San Jose Chamber Symphony, and California Symphony.